A recipe from Maaike Smink in which various products from Greensweet -stevia are processed. Mix half of the almond flour together with the spelled flour, greensweet X-tra sweet and the pinch of salt in a food processor. Then add the diced cold butter 1 by 1 and then the egg. Mix this until you have 1 dough ball. Take your dough out of the bowl and put it wrapped in household foil for an hour to rest in the refrigerator. Remove your dough and hour from the refrigerator, sprinkle your worksheet with wax spelled flour and roll out your dough. Put it in your greased pie form press it gently. Sprinkle the other half of the almond flour here and distribute it over the bottom. 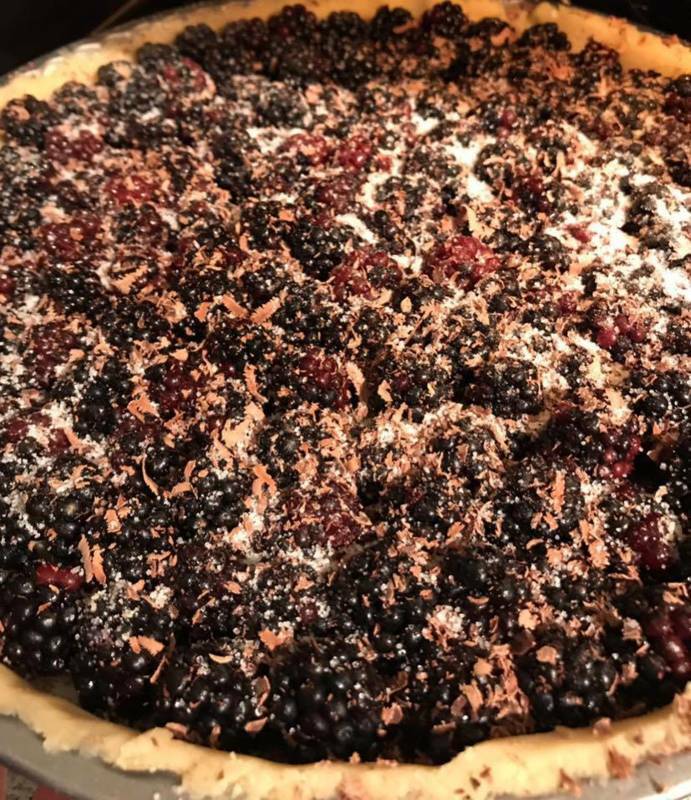 Now fill the cake with the blackberries, sprinkle when you have put in the blackberries and nicely distribute the tablespoon greensweet jelly crystal over it. Finally, grate the dark chocolate over it. Then put the cake in a preheated oven (200 degrees) for 30 minutes. Depending on your oven. the cake is ready when the crust is golden and the blackberries have opened. Remove the cake from the oven and let it cool down well. Sprinkle the cake with some coconut grater.